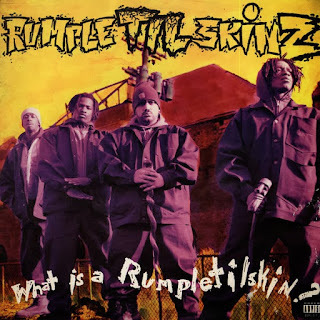 Long Island Rap Blog: Rumpletilskinz - What is a Rumpletilskin? 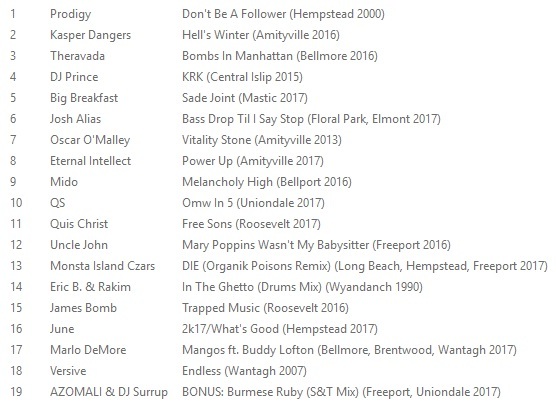 To answer the question posed by this Long Island hip-hop cult classic, a Rumpletilskin is any of the three Uniondale MCs named Shanow "The Remedy Man," Jeranimo and Capital LS, and the DJ, DJ RPM. A Rumpletilskin could also be a former dancer for Leader of the New School (Jeranimo), or a former roommate of Busta Rhymes himself (Capital LS). No matter which group member you're talking about, a Rumpletilskin is a hip-hop artist who left an indelible mark on the face of '90s hip-hop before fading into obscurity, so much so that the group's RCA Records LP has never been reissued in any format. With that said, we're happy to include their song "I-N-I" on LongIslandRap.Comp V1 and invite you to stream the videos for "Attitudes" and "Is It Alright" below, while you download What is a Rumpletilskin?, which we've packaged with scans of the album's review from the September 1993 issue of The Source, courtesy of HipHop - The Golden Era.